Like any human, loving free samples comes naturally, it’s almost instinctual. The fear of knowing “what is the catch?”, also comes naturally. Maybe you’ve seen “free” stuff offers that make you sign up for ADT security, get a mortgage, get 16 new credit cards and sign up for insurance 3 times for your new house to get said “free” stuff. These said “free” offers are what make us all skeptical. Nobody wants to give up a kidney to get an iPad 2, that just isn’t cool or realistic. Getting a free bottle of salsa without filling out surveys, sending in a boatload of receipts or clipping coupons to the extreme should be a realistic outcome for freebies hunters. I’m going to explain how to find the best free samples without surveys or shipping costs mailed to your home on a frequent basis. These Free Samples Came To My Home For $0.00 In Shipping Cost. And No Surveys Were Filled Out. My intention is to help all US based freebie hunters to get more free samples without surveys (or giving away body parts). How? I’m giving away ALL of my sources for how I find all the best freebies without surveys. Hopefully you’ll come back after I give away the freebie farm. These sources aren’t freebie sites ridden with advertisements and “free iPad for your organ donation” offers. These are all the direct sources that I use to discover the most bleeding-edge free samples. I’ll also include some other free stuff like digital freebies & free magazines, contradictory to the title of this post. Let’s start with the most fruitful place to get fresh, delicious free samples. The freebie forums. SlickDeals is an extremely active money saving community and my personal favorite. I highly recommend signing up for their other deal alerts and exploring the rest of their site beyond the freebie forum section. I get their newsletter and I’m always tempted to buy a $1000 TV for $200 but then realize I have no money so I resort to the freebie section. The freebie section is the best freebie community on the web I’ve found so far. Why? They find scams/phishing sites/fraudluent sites and are always checking offers if they are safe, expired or bogus. The community also makes the requirements to get the freebie very clear and you won’t see many free samples that have any cost or long surveys associated. If you only use one site to get free samples without surveys, use this freebie forum. A close second in terms of freebie communities. FatWallet is another free stuff community that actively shares information about each freebie and seems to constantly “break the news” of the latest free samples you can get mailed to your home. From finding fake freebies to sharing Disney Movie or MyCokeReward points; this community has it all for an aspiring freebie hunter. Reddit is known of many things; one of them being that Reddit is full of rich niche communities called “subreddits” which have their own moderators, rules and voting systems. For example in the subbreddit “/r/FreebieTalk” you can get a crown icon next to your name showing that you are the “Freebie King” for getting the most freebies in the mail (by posting photos proving it). There are a few freebie communities on Reddit. When it comes to finding free products without surveys, you’ll mostly highly vetted free samples instead of the vast selection on FatWallet or Slickdeals. However, the electronic freebies in “/r/eFreebies” and mostly game download freebies in “/r/Free” stand out if you are more interested in electronic freebies instead of actual physical products for free. Spoofee is a great freebie forum in general. You’ll find plenty of the same free samples without surveys as you would on FatWallet or Slickdeals. I feel like Spoofee’s community of users is about 30% less engaged in terms of reviewing free samples for being fake, expired and so on compared to Slickdeals or FatWallet. However, I’ve seen freebies on here before FatWallet or SlickDeals so be sure to keep checking this forum so you don’t miss any free samples without surveys. And then there were the retailers like Target, Walmart and media brands like AllYou magazine. These brands have been almost constantly giving away free samples since I started YoFreeSamples in 2008. There is no guarantee if you visit these sites right now that you’ll see a free sample offer, but it’s likely you will see some way to save money. For the most part here aren’t many surveys involved when they have free sample offers too. Sometimes you’ll need to answer a couple questions, but nothing like a 5 minute or longer survey. VocalPoint, PinchMe and AllYou are the most survey intensive ones so I put those last. Most folks know of the retailer Target. Most folks don’t know that Target is almost always giving away new free samples. The best part is Target is a large brand so you know you’ll be getting the free samples mailed to your home. And lastly, most of the free samples don’t require a survey; if they do it’s a short survey! A freebie veteran will always be checking what’s new and what’s free at the Target Sample Spot. Walmart’s Free Samples Center is the king of free samples. Walmart also has been giving away free samples longer than Target has on the internet. Beyond the best prices, Walmart always has the best free samples without surveys on the internet, hands down. P&G Everyday is a free membership that emails you loads of money saving tips, coupons, deals and exclusive P&G product samples. If you can handle the extra emails about recipes and advice, you’ll be rewarded with free samples like Prilosec a couple times a year. However, I find you do have to fill out short questionnaires for most of these free samples. L’Oreal is best known for their shampoos and other beauty products. Little do most know, is that L’Oreal has a very active special offers section of their website. Since 2008, I have seen many free shampoo and other beauty samples from L’Oreal over the years. Certainly a retailer you be checking frequently for new coupons and free samples without surveys. AllYou is a great magazine chock full of money saving tips, coupons and free product samples. If you like to save money I highly recommend subscribing to their magazine as it comes with coupons and freebies that pay for the subscription itself. Each magazine often has recipes broken down by cost per meal which I find particularly awesome for saving money. Beyond money saving advice, AllYou has on-going freebies and giveaways you won’t find anywhere else. So I always check AllYou to see what freebies or deals are new and unique to their website. Most of their free samples are for beauty products, so if you are looking for other free products this might not be your best bet. PinchMe is a new comer to the block of all things free and has certainly made an impact. There are many services where you can fill out surveys to get free products, but PinchMe seems to be the best at this. Why? PinchMe is great at communicating what free samples are coming next so you aren’t left blindly filling out surveys to get a sample you don’t even want. While PinchMe requires surveys, the past samples make the survey filling effort seem worthwhile. Check them out if you don’t mind the surveys. Swaggable has been sending me free samples a good amount lately so I have updated this list to include them. The above sample I tried (I did not like the taste, tasted like drugs) and it was from Swaggable. You don’t have to fill out surveys, but it does help you get more samples. It is painless and easy to sign up and just start choosing product samples you want. VocalPoint is a lot like PinchMe, except you get more than just product samples. In exchange for filling out surveys, you’ll also be invited to exclusive events and be offered special gifts or experiences. If you want strictly free samples for filling out surveys, I’d stick with PinchMe. However, VocalPoint is a well respected company in terms of giving away free full-size products and samples so they are worth a look. Sephora’s Beauty Insider is great if you are buying beauty products online because you get free samples with each purchase. But you don’t exactly get anything free except for the free gift on birthday. I had to mention this site because free beauty products are very popular on YoFreeSamples. However, beware shipping costs / purchases are involved EXCEPT for the annual birthday free gift Sephora providers to insiders. As a side note, Macy’s and ULTA also almost always give free samples upon purchase as well, but again, you do need to purchase something so beware of that. The Other Free Stuff Sites With Minimum Hassle, But Not Exactly Free Samples. What do you do when you run out of free samples without surveys and want to find more? What if you want to get free samples that aren’t on any website out there? My goal is to get freebies before anywhere else here at YoFreeSamples so I use fancy Google searches. Try the two below to see what is next the past week. I recommend changing the time period to the past 24 hours if you are checking daily to see what is new. I have found free samples without surveys using Google hacking on this site recently and have in the past. 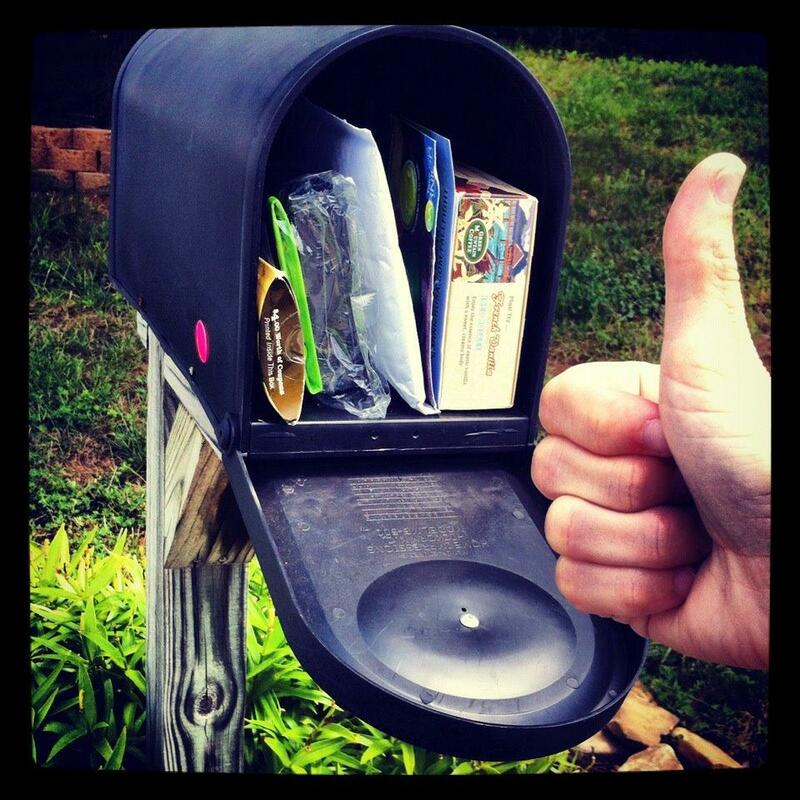 It’s a clever trick to find free samples that most folks don’t know about. The only issue with Google sample hacking is that it’s a hit or miss type of situation; you have a lot of unrelated results that you have to sort through to find the freebie gems (if there even are any at all). UPDATE 1/24/16: Another tactic is looking for specific sample/deal fulfillment companies like “SmartSource”- try the 3rd search to see how it that search finds all the current offers from SmartSource. Amazon organizes millions of eBooks for instant delivery on Kindle to any device. They also organize the Top 100 free and discounted eBooks for Kindle out of the millions of eBooks. This is great because otherwise you’d need a robot to track the millions of eBooks that are always changing price or going free for a limited time. I read a ton of books so I frequently check these top 100 lists from Amazon. And I use the top 100 free Kindle list to create posts about the top free kindle eBooks here on YoFreeSamples. Most good iPhone or iPad apps are free anyways so free app downloads aren’t the most enticing type of freebie out there. Either way, iOSnoops does a great job monitoring price changes and apps that have gone free for iOS (iPhone/iPad/etc..). Just keep in mind the prices can change quickly and without notice. Amazon has it’s own app store for Android and has a great deals and freebies section on it. Amazon has more control over their apps store so you can expect less unexpected price changes or apps suddenly costing money. The best free stuff usually comes on your birthday. I love this section and try to grab as many free meals or gifts from the companies on this list every time it’s my birthday and you should do the same. Birthday freebies are usually acquired with minimum hassle but be sure to bring proof of age like a drivers license. Just like birthdays, kid’s can get a lot of free stuff. I made this collection of companies that give away freebies to kids. This is ideal for parents who want to save a couple bucks eating out with their children. If you’ve ever seen Extreme Couponing on TV, you’ll know that coupons can get you free stuff all the time. The most important coupons are usually still in your ad circulars that come in the Sunday newspaper. That’s why I made this collection of stores and links to their circulars. Still want more free stuff? Well FreeCycle is a grassroots non-profit that organizes people giving and getting free stuff locally. Check out if there is a community or any free products listed around you that you can snag. I love RewardsGold, I personally just got Wall Street Journal for free for the next 26 weeks from here. The reason why RewardsGold is last is because I had to take a 5 minute survey to get the free newspaper subscription. However, I’ve always gotten the free magazine or newspaper from RewardsGold so it’s a reliable giver of free magazines for many people. The problem is you have to take a long-ish survey to get there. Don’t have time to go through all these sites to snag free samples without surveys on a daily basis? Let us do it for you: Sign up for our daily free sample email alerts here! So that is how I find free samples without surveys or shipping costs on a daily basis for this site. That is it for now, if you learned anything useful from this article please share it! Do you have any suggestions or additions? Email me at john at this website dot com. Thanks for reading.